The Enchilada is made from a Corn Tortilla that is rolled around any filling according to one’s choice then covered with a sauce made from the Chili pepper. 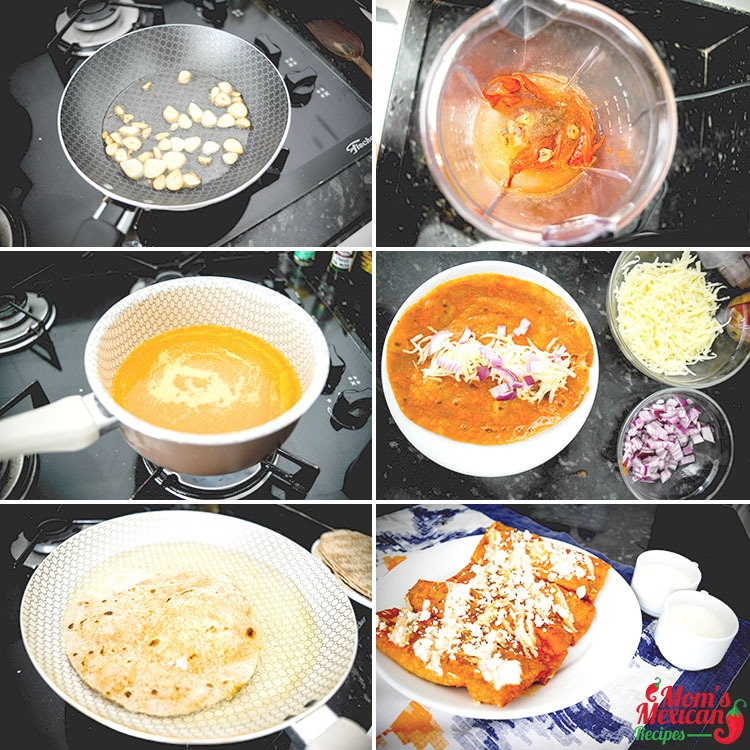 The filling can be either of this; pork, chicken, beef, beans, cheese, vegetables, potatoes or a combination of these Ingredients. One favorite Enchilada in Mexico is the Red Chile Enchiladas. If you have a taste of this you won’t be wondering Why this is a huge favorite in the country. The origin of the Enchiladas (See also Jalapeno Beef Enchiladas Recipe) started in Mexico where they practice the rolling of tortillas over other foods. The village people living around the lake of the Valley of Mexico eat their corn tortillas rolled or folded around fish. That’s how simple it had started. 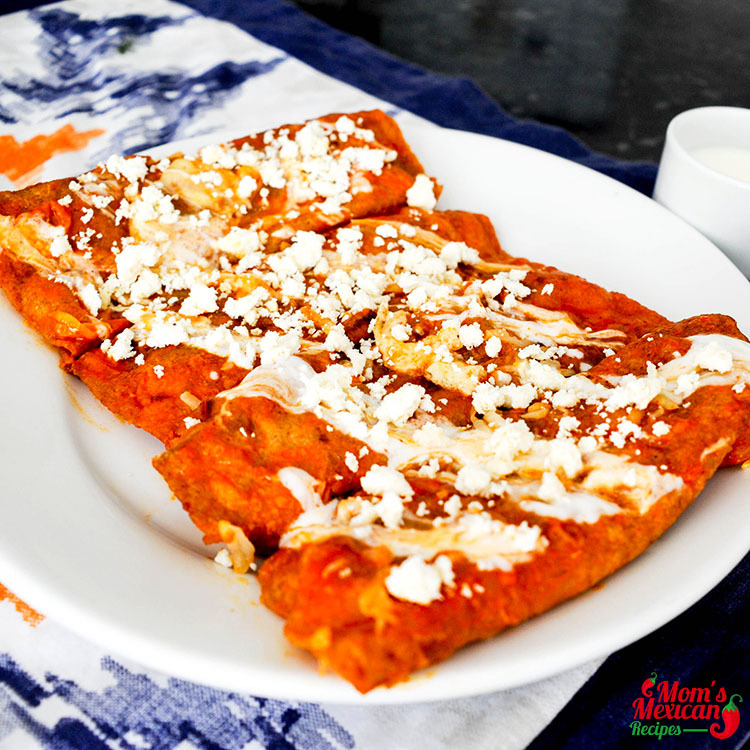 Nowadays, this simple dish has evolved into many other kinds like the Red Chile Enchiladas which is popular among many Mexicans. Put Chiles in a small bowl, cover with 4 cups boiling water, and let stay for 20 minutes. Drain chiles, remove the seeds and stem. Transfer chiles with 2 cups soaking liquid to a blender, let cool for 5-10 minutes. Heat 3 tablespoon canola oil in a medium skillet over medium heat, add garlic and cook until golden brown. Transfer garlic with all oil to the food processor with the reserved chiles, also add lime juice, cumin, sugar, salt. Mix until smooth and set sauce aside, strain through a sieve. Transfer chile sauce to a medium size skillet and heat sauce over low - medium heat 10 minutes. Pour rest 1 ½ oil into a smaller skillet over medium-high heat.Using tongs and working with one tortilla at a time, dip tortilla in oil and cook until slightly crisp, around 15 seconds. After pun in chile sauce to coat, and transfer to a plate. 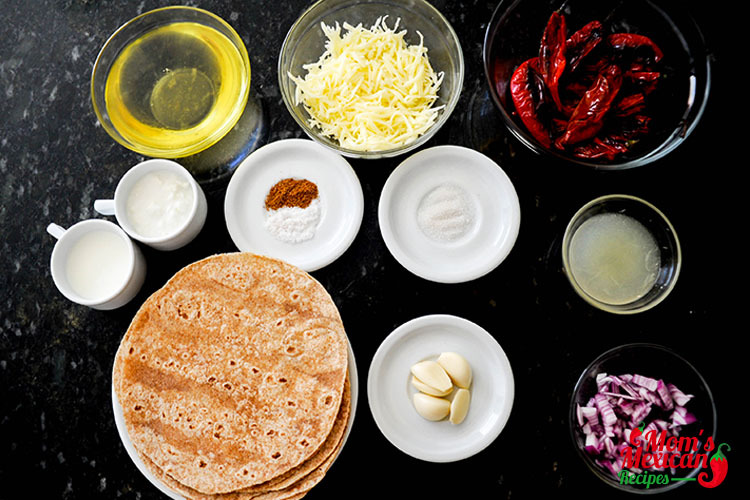 Sprinkle with some of the mozzarella and onions in the middle of a Tortilla and roll up. Prepared rolled enchiladas put on a baking sheet and bake until cheese is melted about 5 minutes. Serve with Cotija cheese and sour cream. 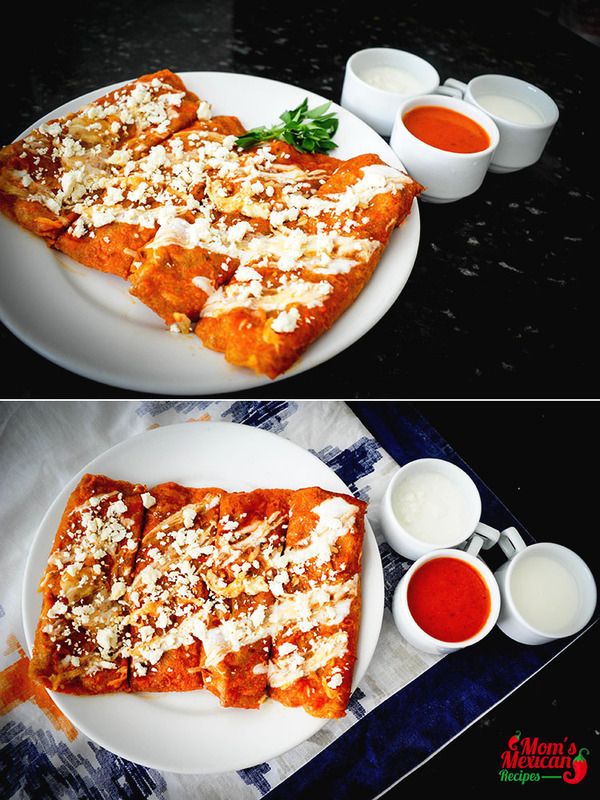 You can make your very own Red Chile Enchiladas. Soften the chiles then transfer together with water into a food processor. Heat the garlic until it appears to be golden brown then place in the food processor together with the chiles. Puree then you can now add the cumin, lime, salt, and sugar. Now, use your tongs to work with one pc. tortilla then dip it in oil until it is slightly crispy. Dip this in the chili sauce for coating. Sprinkle with mozzarella, onions, and cheddar on the center then roll up the enchilada. Arrange them on the baking sheet then bake until you see that the cheese had melted. They say that the perfect wine for this dish is a dry rose to make you more enticed to this extra delicious cuisine. This dish is perfect for those who love to pair their meal with wine. It will surely be a fine dining experience with this simple dish.